The circular economy is a model of responsible production and consumption, which involves sharing, leasing, reusing, repairing, remanufacturing and recycling existing materials and products for as long as possible. Circular economy does not only apply to laptops, computers and other electrical appliances, it also applies to almost everything we use on a daily basis. The high demand economy we have now operate as if we could source virgin materials forever, this creates business risks among all the other risks, as virgin materials become increasingly difficult and expensive to source which results in companies being struck with material shortages, in turn, pushing up material prices and threatening continuity of operations and margins. What’s more, our ability to produce economic growth is being challenged. In order to help liberate their supply chains from sourcing instability, more and more companies are pursuing alternative approaches that decouple economic growth from resource constraints. Some are even taking a step further than recycling to turn waste into a resource managing them throughout their entire lifecycles, in other words, “circular economy” is a way of “designing out” waste. The circular economy is a departure from the traditional, linear economic model, it is not about recycling in a better way at the end of the pipe, it’s about rethinking product service solutions in a way that allow the value to be captured through remanufacturing and reuse. When a product reaches the end of its life, its materials are kept within the economy wherever possible. In light of the severe climate changes impacting planet Earth, major global enterprises have begun accelerating their respective efforts, further propelled by the United Nations’ Sustainable Development Goals for responsible consumption and production. The Hewlett-Packard Company (HP) sees the circular economy as a means to prevent depletion of the earth’s natural resources beyond itself. Intel, on the other hand, has set a goal to recycle 90% of its non-hazardous waste. Since 2008, Intel recycled 75% of total waste generated from its operations. Fashion retailer H&M aims to use 100% recycled or sustainably sourced materials by 2030 and to eliminated hazardous chemicals at the beginning of the process. Electronics giant Dell has set a goal to use 100 million pounds of recycled-content plastic and other sustainable materials in its products by 2020. Meanwhile, Apple is aiming to use 100% recycled materials to make its iPhones, MacBooks and other electronic products in the future. The tech company has also launched the Apple GiveBack programme to make it easier for customers to recycle end-of-life products. Rentwise has been practicing circular economy for more than 17 years, remanufacturing and leasing IT infrastructure that has been retired. Providing clients with products and services with a valued difference while protecting the environment, this has been the value system within our DNA. 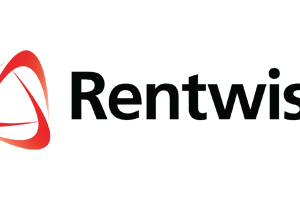 Rentwise is always looking for organizations to collaborate in their circular economy journey to preserve the earth’s environment for a better future, while positively impacting their operational efficiencies.